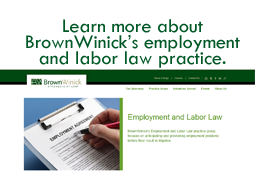 Workplace Wise - BrownWinick Employment Law Blog: STUDENTS UNITE! In overruling Brown University yesterday, the Board stated bluntly, “We revisit the Brown University decision not only because, in our view, the Board erred as to a matter of statutory interpretation, but also because of the nature and consequences of that error.” The Board noted that statutory coverage is “permitted by virtue of an employment relationship; it is not foreclosed by the existence of some other, additional relationship that the Act does not reach.” As such, because the student assistants perform work at the direction of the university for which they are compensated, the Board has the authority to treat them as statutory employees under Section 2(3) of the National Labor Relations Act. Simply put, the fact that these people also have an educational relationship with the university does not negate the employment relationship with the university.